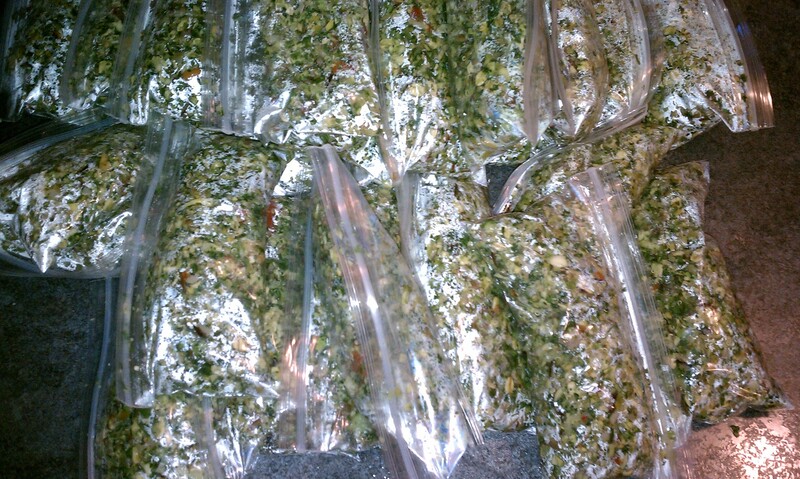 I have received dozens if not at least a hundred emails from people who have tried making Chop for their birds. Some were kind enough to include photos. There’s even a forum in the UK that posted step-by-step photos of their Chop with a beautiful result and of course the money shot at the end of an African Grey perched on the side of the big bowl of Chop, contentedly chowing down. One guy I’m really proud of is Brandon. Now I don’t know that much about Brandon, other than he has a Grey, he lives somewhere in Washington State, I think, and that he wants to learn everything about training and nutrition. The guy is a sponge. And with Brandon, as far as I’m concerned, when he wants to know the best source for learning how to train, I come running with the links. I give him the resources, and then he actually goes out and buys the books and DVDs! Then, he actually works with his bird! 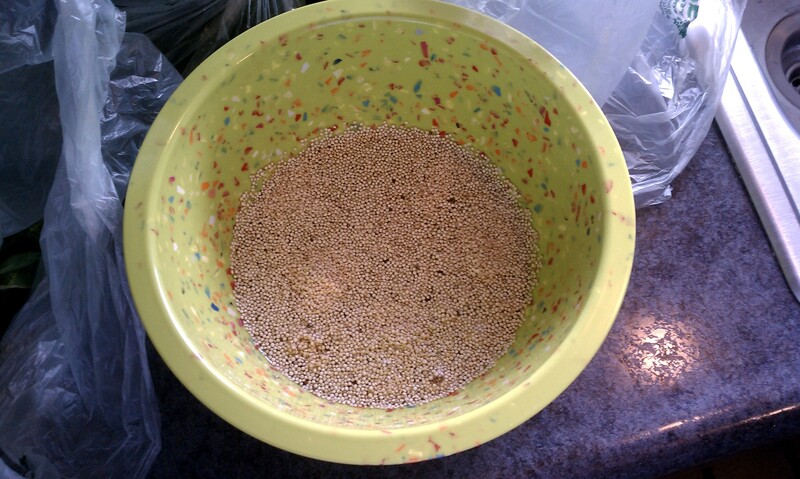 Here is Brandon’s Quinoa ready to cook. I just love how he took the time to take the shots. Here’s the beginning of his dry pile at the bottom of his Chop pot. Final result? Take a look see at his zip-locs. They’re beautiful! I just love how his photos almost match the exact way I make chop. Brandon probably knows how to make Chop in his bones by now. I’m so happy when I see this kind of a result from a first-time “Chopper.” Yup, this was the first time he ever made it and look at his result. It’s absolutely beautiful. And that’s a lot of food for one African Grey. 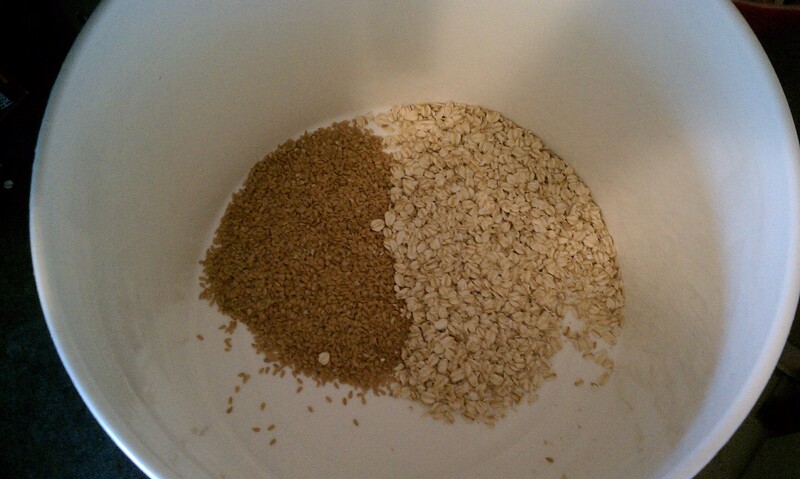 Most people start with a smaller batch like Brandon’s and then work their way up to a larger batch. That’s actually a good way to start because you get a feel of the proportions you feel you want to use in it. I’m really proud of Brandon and his efforts to give his Grey a wonderful diet. Thanks go to Brandon, for letting me use his photos and write about his Chop. Try Salvation Army and Good Will. They usually have great deals on stuff like that. I shop those places all of the time. People who “upgrade” will donate their old model and they work perfectly fine. My next big round of chop I want to try & make the pieces bigger. My Cuisinart food processor reduced everything to teeny tiny microscopic bits of various colors – but my 7 month old CAG, Kelly, gets a bigger kick out of larger bits & pieces of carrot, celery, etc. Not large chunks – but more like 1/4 cube size pieces. 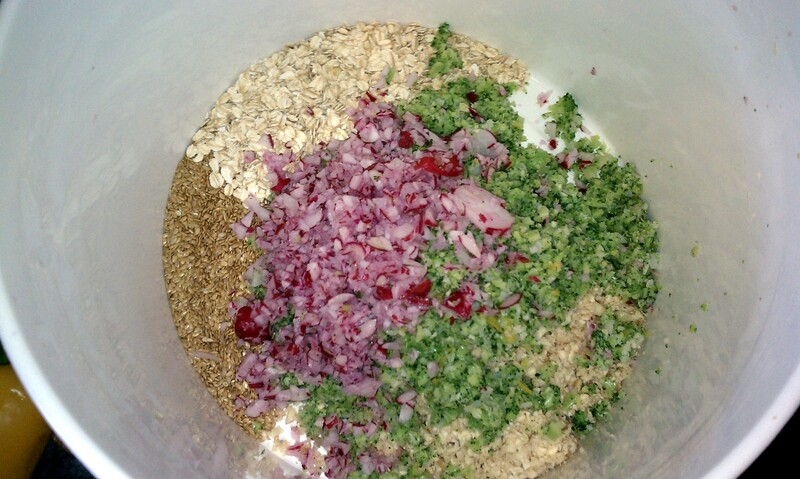 I’ve used different blades & attachments with my food processor & it still reduces everything to it’s molecular level. Next time I’m going to just dice everything into little cubes for this bird that I live for then have carpal tunnel surgery for my own fun & enjoyment! Yah! My sad tale is that no matter what veggies etc i mix, my grey will not touch it. Mine only like Mush not chop….very texture phobic. I have to put yams thru a screen to get out the pieces of the thread like stuff. 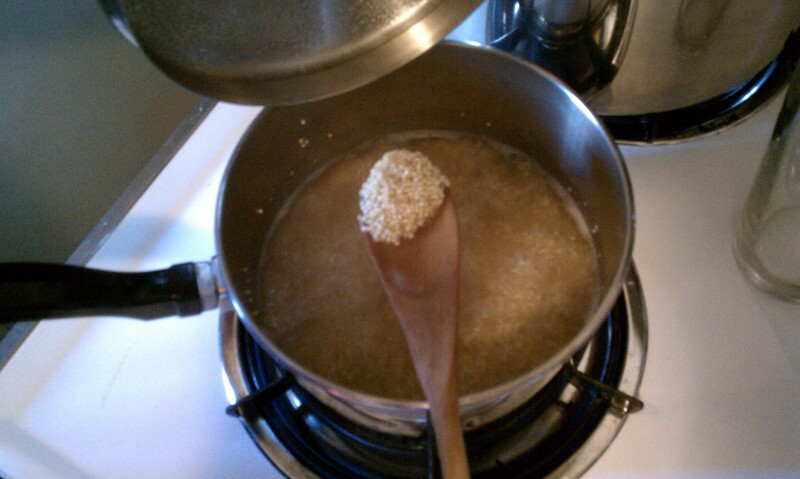 I think I will try Quinoa and blend it to a mush and add to her Sweet potato baby food mixture. Why do U2’s have top be SOOOOO picky! I sort of do “chop” .. I need to see more examples of it Patricia .. are there more links on here? In the morning I put organic spring mix, carrots, and some walnuts in the small cuisinart and chop very fine so they cannot pick out the walnuts and carrots .. then I mix with their pellets (I soak the pellets for a few seconds) .. I have great pictures of my own “chop” all over their beaks .. I think now I need to start adding quinoa and other thing s.. I’ll keep looking for your recipes. Cheryl, there is a list on the right side of this page. Look for “Videos: Instructional, Recipes and General” then click on “Chop video”. I made my first batch today. I think it is quite tasty! My parrots all gave it a try. Even my parakeets liked it! 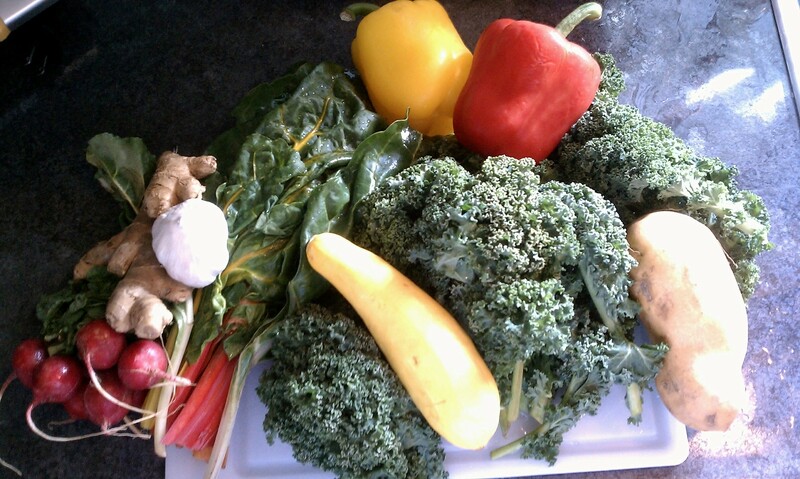 The best part about it is you can use what every veggies are available at the time. Mine was more like the autumn chop because I just got pumpkins, butternut squash, peppers, zucchini and yams out of my garden. Then I just had to pick up a few other items. Some of the dry items weren’t available in my small town so I used what I could. My babies don’t care for large pieces of food so I chopped it up smaller. I’ve been making “birdie bread” for quite awhile to hide nuts and some veggies they won’t eat so this was fun for me to make. And I’m sure it will be much easier to thaw out a bag of chop instead of chopping it all every morning. Maybe just add a little something everyday to change up the flavor. Have fun and happy chopping!